In this installment of my random digital stats post series, we look at the internet browser wars and some of the usage stats for the major players. OK, this may not be every internet browser stat you ever wanted to know, but it is a good start. As with all my other stats posts, sources are linked and the list will grow and be updated as I find new and fresher data. Also like the other posts, some of these stats may come from the companies, some are third hand media reports. 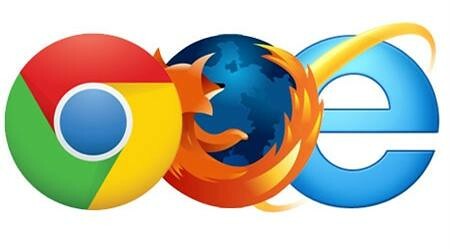 Obviously, it is easier to gather user info from the browser that are downloaded (Chrome, Firefox, Opera) than those that come installed with hardware (Internet Explorer, Safari). I try to find what appears to be the most accurate info, but always take it with a grain of salt.